Nordic design is very on-trend at the moment and this desk, and the other matching furniture from the range will certainly help to create a modern office that’s ideal for creative businesses or anyone who prefers clean, minimal lines. Is not having enough office space causing you to tear your hair out? Do you have two desks that take up the entire area? If your answers to both questions are yes, then this review is timely. The Balt LX Double Workstation is here to solve your work space woes. This innovative product will allow you to maximize your space and keep your office organized as well. 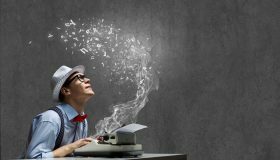 Read on to find out why it is ideal for any working environment. Spacious: The 72-inch top on this two person computer desk has space for two monitors, towers and still leaves plenty of room for writing. Two colleagues can work together without encroaching on each other’s space. 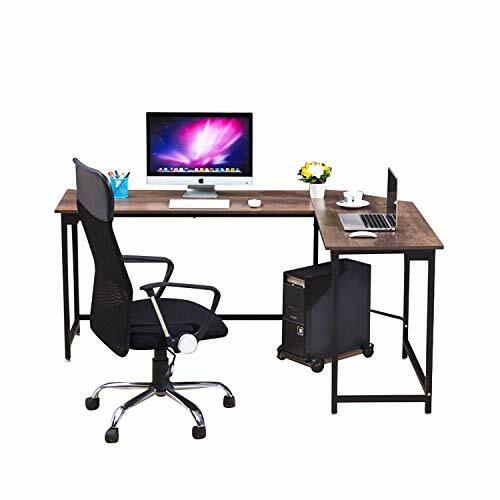 There is sufficient room for them to take notes and store files.The top has a trendy design, making this two person workstation a perfect fit for any office. It comes in eye-catching teak. Teak is a durable wood, so you can rest assured that this piece of furniture will last. Opt to buy the top in black PVC if you have an urban-themed office. Besides having fine lines, PVC is hardy. You will not have to worry about breakage. 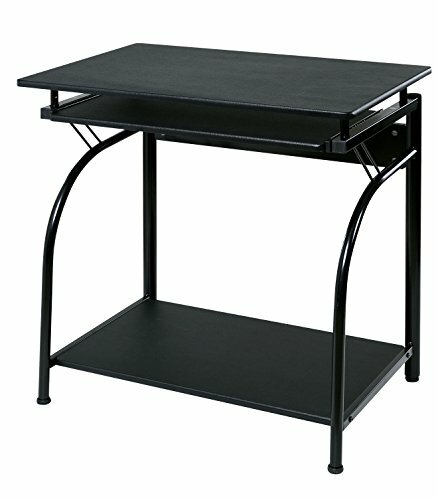 Sleek Appearance & Secure Storage: This workstation’s black base is trendy and will allow it to blend with other furniture in the room. Pair it with a chic black chair to create a professional-looking office.Also, note that it has resilient steel legs. This workstation will not collapse. The legs are powder-coated to prevent rusting. Further, there are two locking CPU cabinets attached. House your towers to minimize damage. You can also lock them in to prevent your curious children or other employees from using your computers. Retractable Keyboard Shelf: A common complaint about workstations is that they are not wide enough to house both monitors and keyboards.The Balt LX Double Workstation comes with two retractable keyboard shelves that fit snugly under its top. Users can pull the shelves out when they want to use the keyboards and store them after they turn off their computers. This feature will prompt them to keep the workstation tidy. Keyboards will not clutter it unnecessarily.These retractable units maximize space as well. Your colleagues can push in their chairs after storing their keyboards. That will create more walking room in your office. 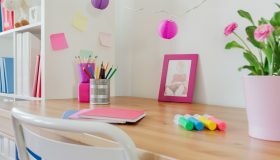 Built-in Pen and Pencil Holder: With this two people desk, your days of scrambling around for stationery-storing pencil holders will no longer be necessary. Each of its keyboard shelves includes a built-in pen and pencil holder. Your colleagues will have the stationery they need on hand.The retractable shelf stores pens and pencils tidily. Pushing the shelf in hides them. Again, there will be no clutter on the workstation.The holders have significant depth. Your colleagues can store a sizeable number of pens and pencils in them. They can also close them to keep their items out of sight. Cable Management Grommets: Entangled wires and cables that get in the way are frustrating. The Balt LX 72 Double Workstation has a solution for your cable woes.It comes with cable management grommets that you can use to organize messy wires. They keep your cables in one place. Your workstation will be clutter-free.Inserting wires into grommets keeps them off the floor. 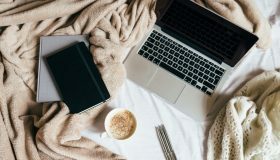 Your office will be a tidier space. 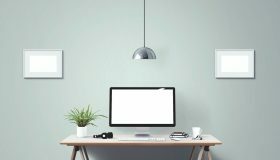 When it comes to connecting wires to the CPUs, your colleagues will not be searching for the right ones.You will not want any unwanted accidents in your office. Keeping cables out of sight will prevent people from accidentally tripping over them. 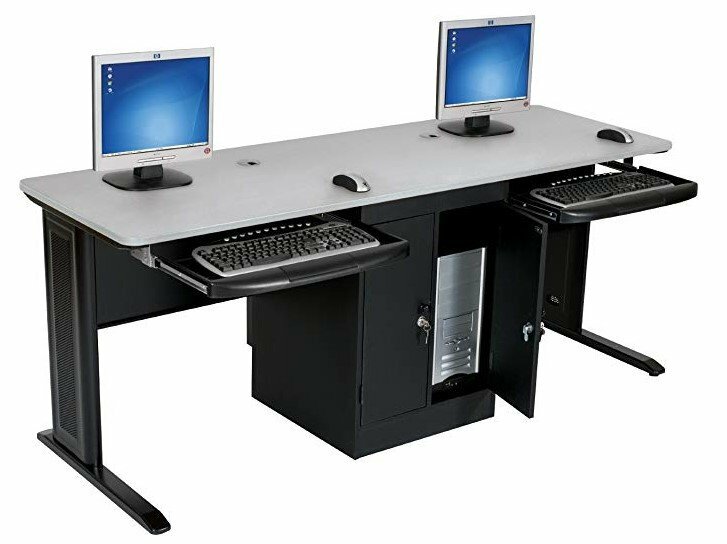 Ten Year Guarantee: Balt is so confident of the quality of this product that it is willing to take the risk of buying it upon themselves for ten years.This workstation comes with an irrevocable ten-year guarantee, and it is so durable that it has received GreenGuard Gold Certification. 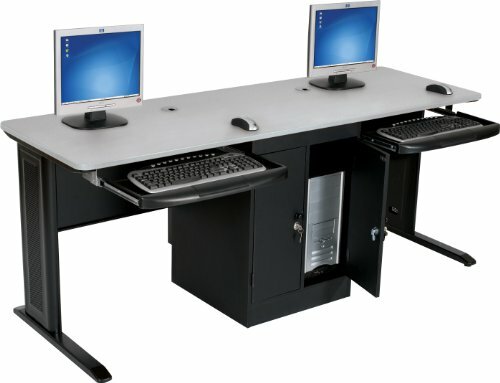 In all, this is a two person desk that will help your colleagues maintain a tidy, stress-free office environment. They will be motivated to stay at their desks for longer. 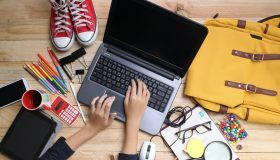 Your children will also be able to enjoy their spaces for homework and other purposes. It scores marks for durability and style. This workstation, by all accounts, is a perfect fit for any office.